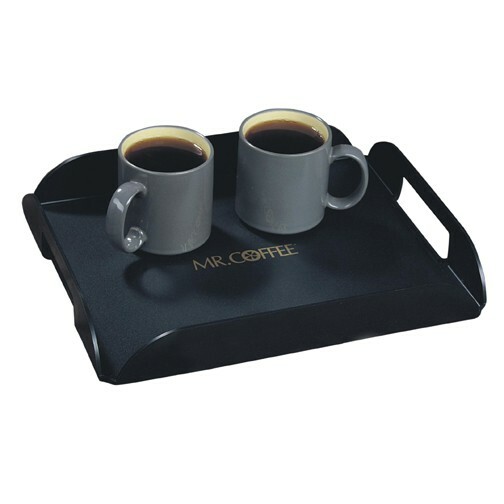 Small Serving Trays Are Ideal for Amenities, Hospitals, Product Display, Branding and more. 11" x 14" Made in USA Polystyrene Plastic Rectangular Serving Tray with carry handles. BPA free and food grade plastic. IMPRINT: Includes a one color imprint in a 4" x 6" area on the tray face OR a 3/4" x 6" imprint on the tray wall. For both imprint areas add an additional color imprint charge and an additional set-up charge per imprint color. See Additional Imprint Information under "Options" above for stock imprint colors and additional imprint color charges.